Home › Blog › Gluten-Free Options! Craving Pizza and More? 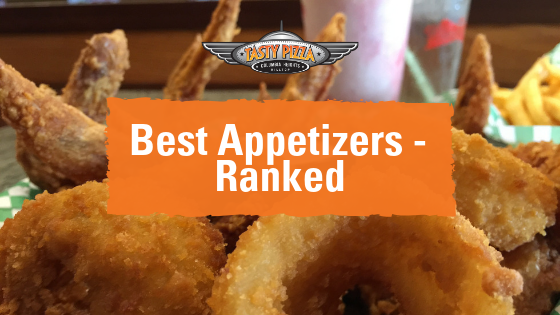 Enjoy Gluten-Free Options Galore! At one time, going on a gluten-free diet meant restricting your personal menu of options radically. 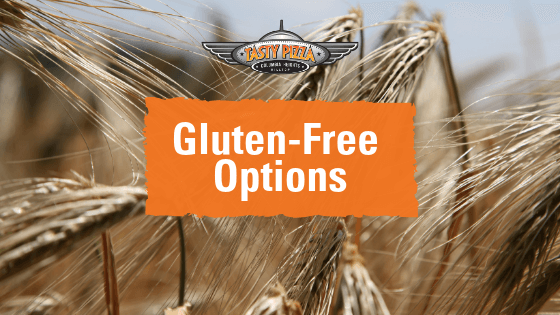 The good news is that plenty of restaurants, including Tasty Pizza, have added awesome gluten-free options to their offerings. 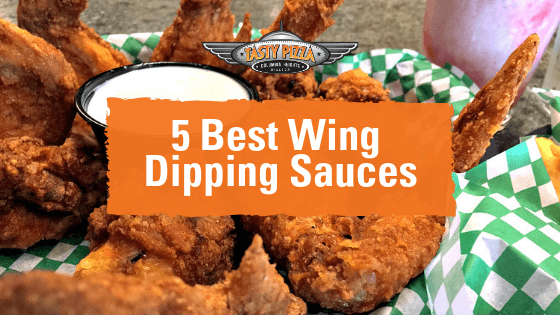 Not only does this allow you to feel confident eating out with friends, but it gives you the chance to discover what may become gluten-free favorites. There are usually two types of people who adopt a gluten-free diet. The first are those diagnosed with celiac disease. Celiac disease makes it difficult or impossible to properly digest gluten, which is a protein found in wheat and related grains. When an individual with celiac disease eats anything made with gluten, he or she can become incredibly sick. Consequently, persons with celiac disease must avoid anything made from gluten sources, which includes the dough of most pizzas. The other type of person who opts for gluten-free foods is typically gluten intolerant. Though they may not have been diagnosed with celiac disease, they feel better after eating gluten-free items rather than products made with gluten. For that reason, they gravitate toward a gluten-free lifestyle whenever possible. The crust of any pizza usually starts as a dough. The flour used in the dough generally comes from a gluten-filled source, such as wheat or even barley. However, those types of grains cannot be tolerated by those with celiac disease. Fortunately, places like Tasty Pizza have found ways to create pizzas that use gluten-free crusts. Gluten-free crusts are constructed from different flours, such as brown rice or oat flour. The flavor of the flour is similar to wheat flour, and many gluten-free pizza eaters say they could never tell the difference. 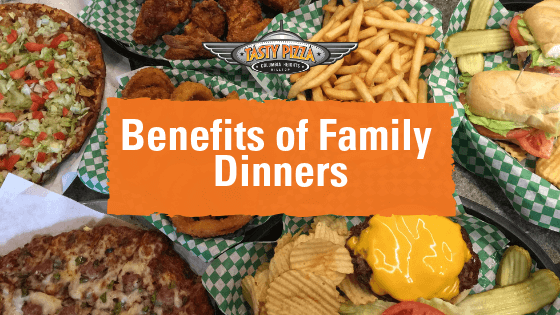 In fact, some families and friend groups just order gluten-free pizza so everyone can enjoy the same meal. Many pizza toppings that come from fruit and vegetable sources are gluten-free. Some meats and other processed items are not. Eateries that promote gluten-free options will have a line-up of gluten-free toppings to add to pizzas. Be sure to always ask if you are ever in doubt. What Other Gluten-Free Items Are Available? Gluten-free pizza is just one of the many treats that people with celiac disease and gluten intolerance can eat without problems. Other gluten-free options include sandwiches and subs featuring gluten-free wrappers, as well as all kinds of salads. At Tasty Pizza, we even have a gluten-free pasta dish. The goal of anyone who requires a gluten-free lunch, snack or dinner should be to always ask about gluten-free alternatives. Do Gluten-Free Creations Pass the Taste Test? We get it: People are skeptical about trying new things. When they spot gluten-free choices, they may wonder if they have to give up enjoyment or flavor. Absolutely not! Gluten-free recipes are created to be spectacular in every way. They are so delicious that many people who can easily digest gluten order them just for their textures and flavors. Looking for gluten-free pizza and other selections? 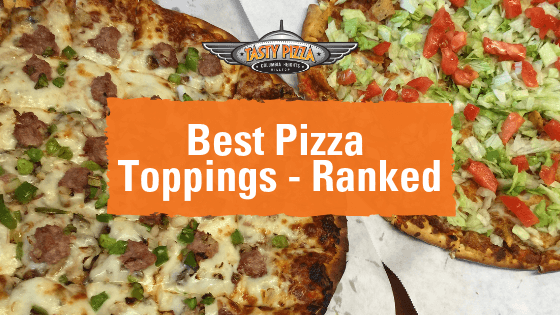 Stop by Tasty Pizza or order online and let us wow you with our gluten-free options.